Indian Coast Guard Navik 02/2019 (General Duty) – Indian Coast Guard has re-released the Indian Coast Guard Navik GD Admit Card 02/2019 on April 05, 2019 at the official website i.e. joinindiancoastgurad.gov.in. The written examination will be held on May 07, 2019. 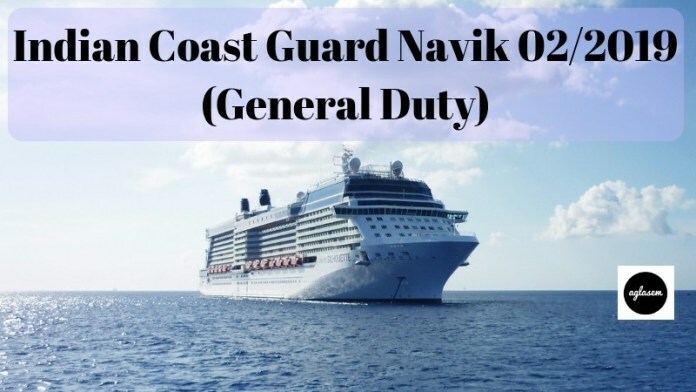 Indian Coast Guard Navik Application Form 02/2019 for the post of General Duty was released on January 21, 2019, and the last date to submit the form was January 31, 2019. The Recruitment Notification of Indian Coast Guard Navik 02/2019 (General Duty) released on January 11, 2019. From this page, candidates will get full information regarding Indian Coast Guard Navik 02/2019 (General Duty). Latest: Indian Coast Guard Navik Admit Card 02/2019 has been re-released, Click here to download the admit card. The selection of the candidates will be based on the written examination, PFT and Medical Test. 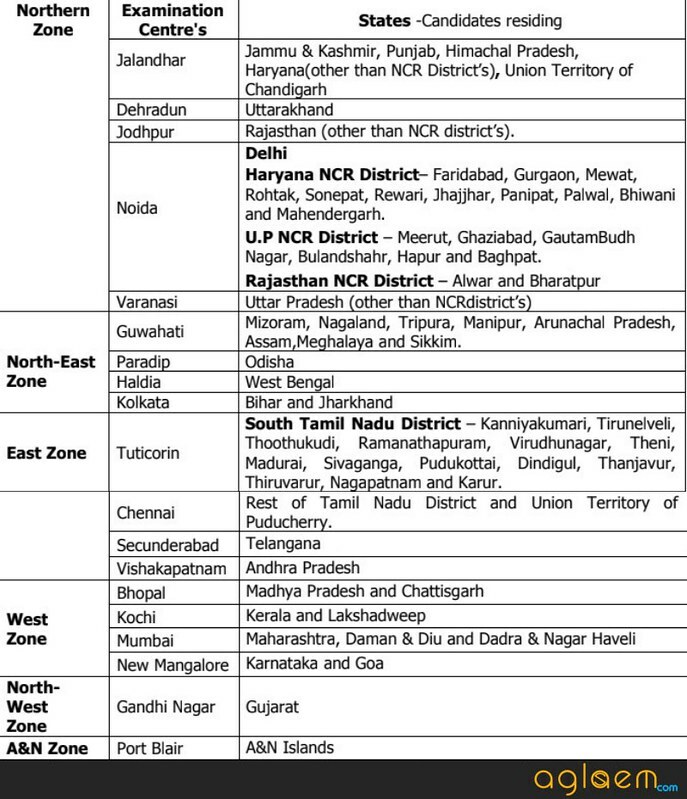 For more information regarding Indian Coast Guard Navik 02/2019 (General Duty) check the schedule given below. The candidates who have submitted the application form before or till the last date for those candidates only admit card has been issued. The admit card is the key to enter in the examination hall. The admit card is made available on the official website. Admit Card is containing name of the candidate, roll number, examination center, exam center code, exam timing, exam name etc. On the day of the examination it is mandatory for all the candidates to carry a hard copy of the admit card and one valid photo id proof (aadhar card, pan card, voter id card, passport etc). The candidates should fill the valid details in the application form as if the candidate’s application founded invalid those form will be rejected. In the form, candidates needed to fill and upload the Personal Details, Contact Details, Educational Details, Qualification Details, Photograph, Signature etc. The candidates who not filled the application on time those candidates form will not be taken into consideration. The recruitment will be done for the post of Navik (General Duty). Till now the number of vacancies has not revealed by the Indian Coast Guard (Ministry of Defence). As the number of vacancies will be revealed it will be updated here on the page. Before applying for Indian Coast Guard Navik 02/2019 candidates should first read the eligibility criteria. As if the candidates will not full fill all the eligibility criteria those will be not considered for the further recruitment process. From below candidates can check the detailed eligibility criteria. Age Limit: The candidates minimum and maximum age should be 18 and 22 years respectively (Between August 01, 1997 to July 31, 2001). Age Relaxation: Upper age relaxation of 5 years and 3 years has been given to SC/ST and OBC category candidates respectively. Educational Qualification: Candidates should have qualified the 10+2 standard with Maths and Physics from the recognized education board of Central/State Government by scoring minimum 50% aggregate marks. 5% relaxation in minimum cut off will be given to the candidates belonging to SC/ST category. The candidates can choose only one choice of the center from the list mentioned below against the state to which they belong to Domicile. The higher authority holds the right to cancel/reconduct the examination of a particular Centre or change the Centre of the candidates for administrative/other reasons. The examination mode will be offline i.e. pen-paper based. In the written examination objective type questions will be asked. The question paper will contain the 12th standard questions related to the Maths, Physics, basic Chemistry, knowledge of English, general knowledge, current affairs, quantitative aptitude, and reasoning etc subjects. The candidates who will qualify the written examination those will be shortlisted for the second round i.e. Physical Fitness Test (PFT). The candidates who will qualify the PFT those will be called for final round i.e. Medical Test. The candidates who will full fill all the medical standards those will be considered as the qualified candidates. The candidates who will qualify the final round those will be recruited for the post of Navik (General Duty). For each test separate result will be declared at the official website. At first, the result will be declared for the written examination. For checking the result candidates may need to provide the login credentials at the login page. The result will be based on the performance of the candidates. The result will contain the name and roll number of the qualified candidates. The candidates who will be recruited to the post of Navik (General Duty) those will be given the basic pay of Rs. 47600/- (Pay Level 8) with Dearness Allowance. Promotion possibilities exist up to the rank of Pradhan Adhikari with pay scale of Rs. 47600/- (Pay Level 8) with Dearness Allowance. The promotion will be done on the basis of performance of the candidates. For more Information regarding Indian Coast Guard Navik 02/2019 (General Duty) Download Advertisement.